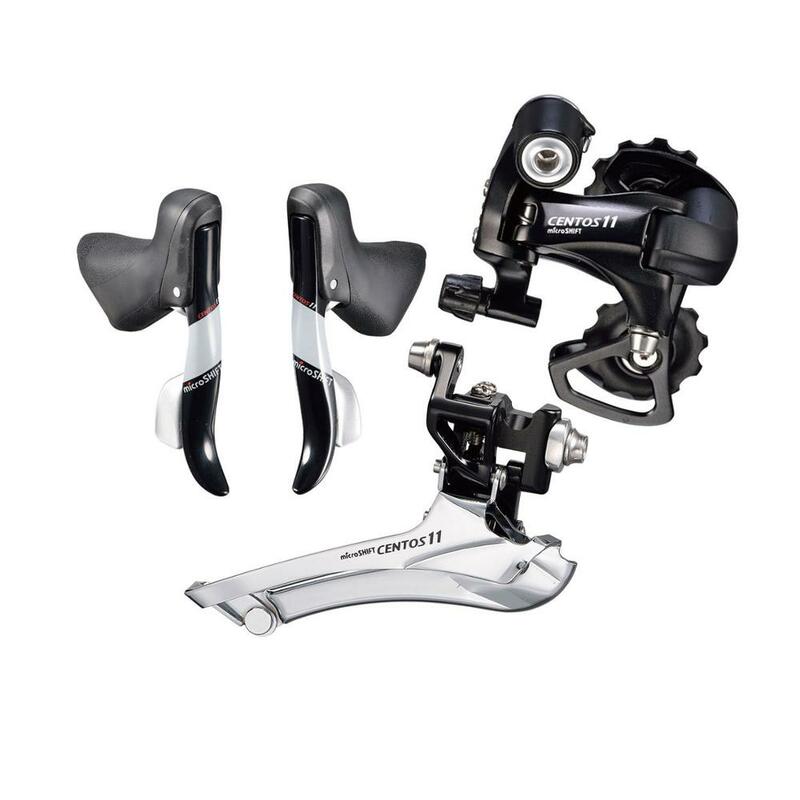 Shifters are double 11 speed. Front derailleur teeth capacity is 16T. (Standard 53/39 and compact 50/34) All brands cranksets are compatible. Rear derailleur teeth capacity 11-32T. All brands cassettes are compatible.